Virtual desktops, or Task View, is an interesting feature added to Windows 10 and was first introduced in the Technical Preview months ago. There was some confusion in the beginning that Task View and virtual desktops would be two separate features that worked together but in the final release of Windows 10, they work together to make life easier for those who use many programs at once. Let’s look at how virtual desktops works and how the Task View feature can help you be more productive. Virtual desktops are known as Task View in Windows 10. Going forward, we’ll call it Task View, so keep that in mind. 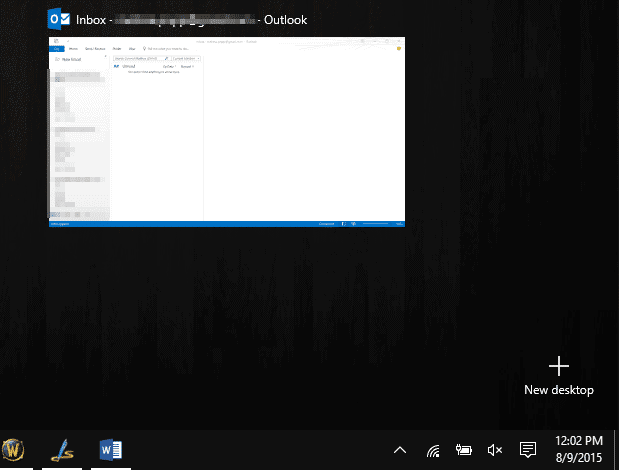 Task View is tied to the Windows 10 Taskbar. If you look next to the Cortana search feature, you’ll see a new icon. This gives you easy access to Task View. 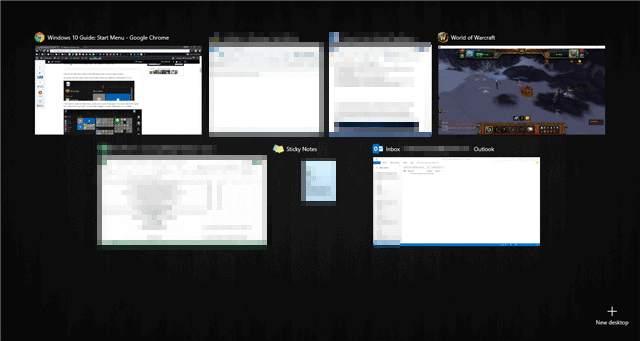 If you click on Task View, you’ll be shown all open windows and apps on the virtual desktop you’re currently on. 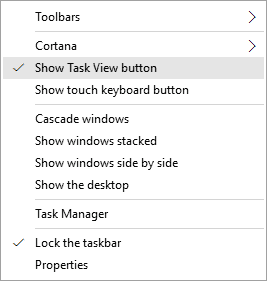 You can get rid of the Task View button by right-clicking on the Taskbar and clicking on “Show Task View button.” You can re-enable it anytime by following the same steps. You can create multiple virtual desktops and store apps and programs in each one that you can switch to and from as you need them. Let’s say you work and play at the same time on your PC, something I do frequently. I can create virtual desktop for work and one for play, so I can move back and forth with ease. 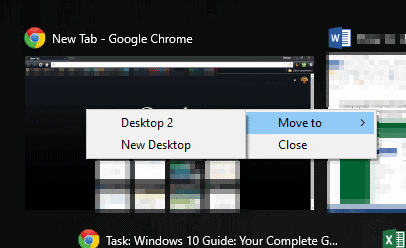 When you’re ready to create a new virtual desktop, click the “Task View button” and then select “New desktop” in the bottom right-hand corner. This will create, and take you to, a new virtual desktop with no apps or programs open. The apps and programs you have open are still there in another virtual desktop, you just won’t see them on your new virtual desktop. You can now open and utilize other apps and programs, then switch back and forth between virtual desktops as necessary. You can delete a virtual desktop at any time by opening Task View and clicking the “X” at the top right of the desktop you want closed. This will transfer all programs and apps to the desktop to the left of its placement in Task View. Keep this in mind before you close a virtual desktop. If you want to move apps or programs between virtual desktops, open Task View and right-click on any apps or program opened. You can either close it, or move it to another virtual desktop of your choosing. This can help you switch focuses, move programs or apps before you close a desktop or just organize your desktops much better. For touchscreen users, virtual desktops can be accessed by swiping from the left of the screen, adding functionality to Task View beyond just keyboard shortcuts. While functionality on touchscreen with Task View is a bit wonky until you get used to it, for those of us who use a touchscreen PC, Task View is a great feature once you get used to utilizing it this way. By using these keyboard shortcuts, you can make Task View that much more effective in Windows 10. Task View will take some time for Windows 10 users to get used to, but if you’re like me, and work and play on a PC, it’s worth the effort. You can separate different tasks and easily switch back and forth between them as necessary. Task View is a great new addition to Windows 10 that’s easy to use and can help increase efficiency when using your PC no matter what you do on it.